Veritas is studying the genes of very old people to figure out how they manage to avoid the diseases that fell their counterparts. Veritas Genetics is interested in extremes. The company is taking a look at the outliers of the human experience, whether it be for memory, old age or other skills. It wants to know if there’s a genetic component to living an exceptionally long time. The biotechnology start-up, situated north of Boston, can map the human genome for a price: $1,000. That’s nothing compared to what Apple founder Steve Jobs paid only seven years ago. While battling pancreatic cancer in 1911, Jobs shelled out $100,000 to sequence his genetic code. That kind of economy enables Veritas to study people like Nelson Dellis, who has won the U.S. memory championship four times. That’s interesting news considering how many people are coping with memory loss from aging and disease. The company has also worked with former NASA astronaut Scott Parazynski and free diver William Trubridge, who can dive more than 330 feet deep on a single gulp of air. "I think studying these extreme cases is a really interesting approach," said Robert Green, a medical geneticist at Brigham and Women's Hospital and a consultant to Veritas. "In some ways, the notion of extremes is so fundamental to what we have learned and ever learned about in medicine." One of the company’s areas of study is extreme old age. Headed by Veritas’ co-founder and chief scientific officer Preston Estep, the team has collected DNA from over 50 people who are more than 110 years old. "We want them to be as old as possible," Estep said. "But we also need a large enough sample to get a sufficient statistical power." With only an estimated 1,000 such people in the world, Estep has begun to study those who’ve lived at least 105 years. 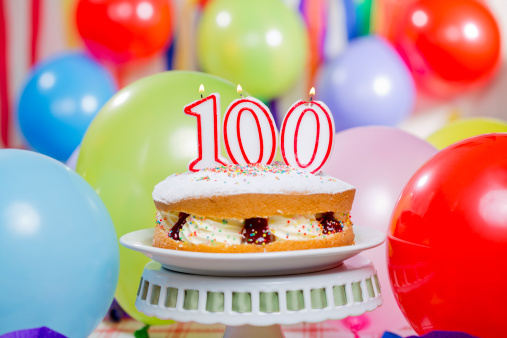 Another interest is in families where the siblings have all become centenarians. Participants don’t have to pay anything, thanks to a collaboration with the Personal Genome Project. That company is working to sequence and publish the medical records and genome data from 100,000 volunteers. One barrier to the research is the difficulty finding birth records for some claiming to be at least 100. Birth certificates were not as common then, especially in certain areas around the globe. Estep can’t say what they’ll discover. That comes with the territory. However, in the recent past scientists have taken data from two women with exceptionally low LDL cholesterol and found a rare genetic mutation common to both that spawned a drug imitating the effects of the mutation. Who knows? Studying genetics may eventually provide the clue to longer, healthier lives.